A new survey has revealed the huge scale and mindboggling complexity of the task facing pharma in keeping medicines moving around Europe after Brexit. No-one knows if or when the EU27 and the UK can eventually strike a Brexit deal, but time is running out fast. 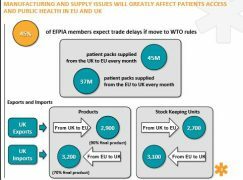 The sector is warning that the 16 months until Brexit is already not enough time for companies to disentangle the UK from the EU supply chain, and is therefore urging a political agreement to be forged to prevent patients going without medicines. • Over 37 million patient packs are supplied from the EU-27/EEA to the UK each month. 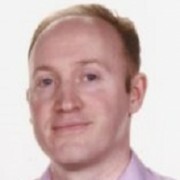 EFPIA and the UK industry organisation the ABPI hope that the survey will open the eyes of politicians on both sides to the risks to both UK and EU27/European Economic Area (EEA) patients alike. Pharma leaders at a recent meeting of pharma regulatory organisation TOPRA in London commented that many politicians in Europe remained ignorant of the risks, and believed that it posed problems only for the UK. This is illustrated by the way Marketing Authorisations (MAs) are split out between the current EU member states. 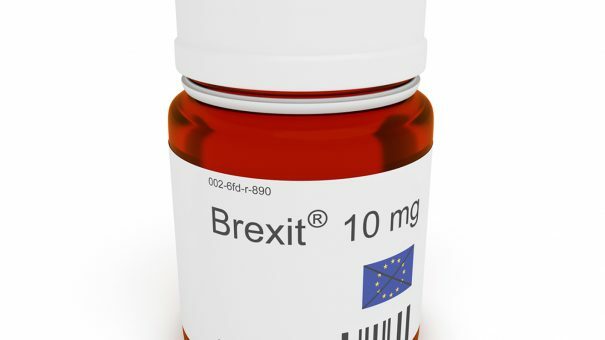 After Brexit, over 12,000 centrally-authorised MAs for medicines will require a separate MA in the UK in order for the medicine to be prescribed to patients. At the same time, approximately 17% of centralised MAs are held in the UK, and these will have to be relocated to an EU27 country. The picture is similar in clinical trials supplies. There are over 1,500 trials being conducted in multiple EU member states that have a UK-based sponsor. Over 50% of these trials are scheduled to continue beyond March 2019. EFPIA says the figures from its survey underline the importance of scientific research collaboration between the UK and EU. Scientific collaboration strengthens the EU’s global position in life sciences, attracting global life science investment to the EU. The fear is that a botched Brexit will not only damage the UK, but also the EU, across all these aspects of medicine supplies, regulation and R&D. The worst-case scenario is undoubtedly that of no deal being struck in time for 30 March 2019. Pharma is slightly better off than other sectors, in that it can fall back on WTO rules, which govern border tariffs on medicines. Nevertheless, 45% of EFPIA members expect trade delays if the UK and Europe have to revert to WTO rules. 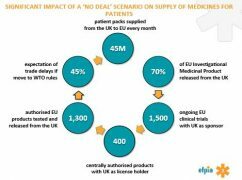 EFPIA says it is critical that the EU and UK reach a comprehensive agreement that ensures maximum alignment between EU and UK pharmaceutical laws, thereby safeguarding supplies for patients around the continent. The industry has warned that this agreement has to come very soon. The last chance for such a deal will be October 2018, when an EU summit is scheduled. However this will almost certainly be too late for pharma, which, in line with other sectors, has identified March 2018 as a deadline, after which it must plan for a ‘no deal’ scenario. The UK government has put forward its own industry-backed suggestion to preserve a close tie between the UK and the European regulator the European Medicines Agency (EMA), but EU27 politicians refuse to engage on these questions until ‘divorce settlement’ issues are agreed. Meanwhile, one of the most tangible losses for the UK arising from Brexit is just around the corner: European leaders will decide on 20 November which European city has the winning bid to be the new home of the EMA. The agency has warned that its relocation alone has the potential to disrupt approvals and other regulation across the continent, but the decision will at least be good news for one European city, with Amsterdam, Dublin and Stockholm said to be among the frontrunners.